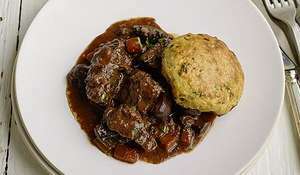 A skinny alternative to the traditional boeuf bourguignon. 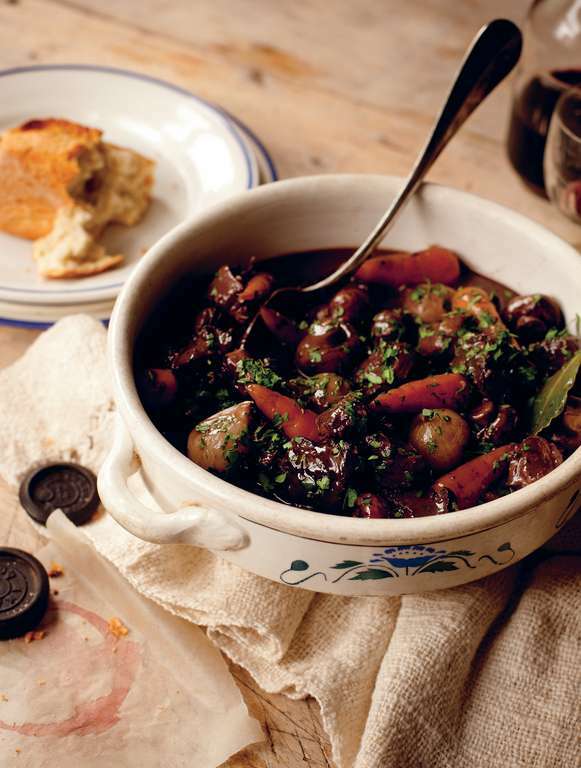 A deep and flavoursome recipe which combines beef shin, Burgundy red wine and a bouquet garni. 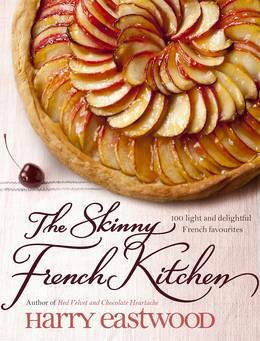 This recipe is at the very heart of the book. 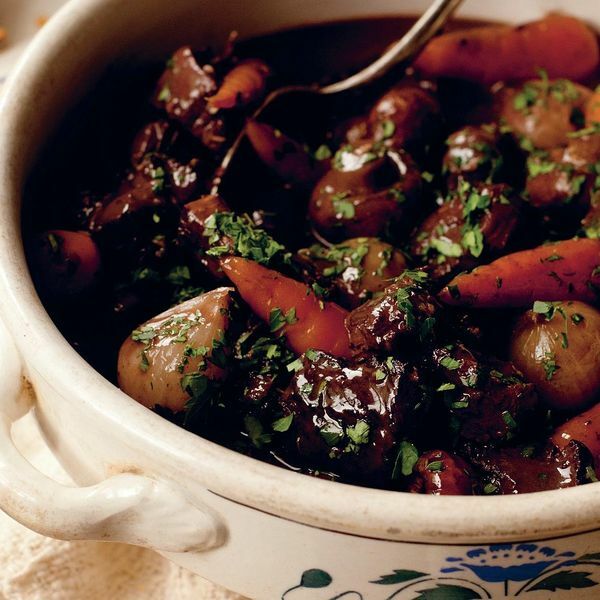 Boeuf Bourguignon is France. 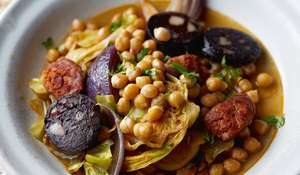 Although this version is rich in deep, bold flavours, it’s not designed to be heavy. The key here is to go for good-quality meat and a decent bottle of red wine to make the sauce. The right cut of meat is also a crucial component of success: ask your butcher for stewing meat made up from shin or leg of beef. I rang my old London butcher, The Parson’s Nose, to translate this cut from the French equivalent (called la carotte), as they don’t butcher the same way at all in France. 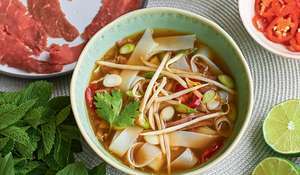 The cut used in this recipe is particularly rich in collagen and connective tissues that will provide the sauce with silk. 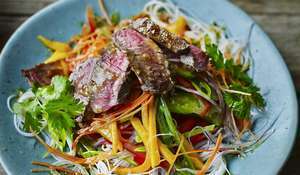 Heat the oil in a large, ovenproof saucepan and fry the beef over medium heat until lightly browned on all sides. You will probably have to do this in two batches. Make sure to remove the first batch with a slotted spoon and set it aside in a bowl, as it will release a lot of juice while it sits. When all the meat is browned, return it to the pan with the butter. Once the butter has melted, coat the meat with it and add the flour. Cook the flour through for 3-4 minutes, stirring the meat constantly, until it starts to look biscuit-coloured. Season with pepper and a little salt. Add the wine and stock to the pan, along with the garlic, bouquet garni and cinnamon sticks (if using). Scrape the pan to make sure that all the little bits on the bottom become part of the sauce. Put the lid on the casserole and place in the middle of the oven for 2½ hours. Towards the end of cooking time, peel the shallots or baby onions by putting them in a small bowl and pouring boiling water over them. Drain after 1 minute and peel. The skins will slip off in one go, saving you 45 minutes and chipping your nail polish! After the 2½ hours’ cooking, add the prepared shallots and carrots to the casserole and cook for another 45 minutes with the lid on. Add the mushrooms and cook for a final 15 minutes. The dish will have had 3/4 hours of cooking time in total. Taste and season the sauce. Remove the bouquet garni and cinnamon sticks. Serve hot, sprinkled with chopped parsley. I like to have this with Light Mashed Potato or Pommes de Terre Sautées and Haricots Verts à l’Ail. Cooking Tips: If you can’t find baby carrots, simply replace them with full-sized ones cut into thin slices. The smaller ones are sweeter, however, and I think the sauce benefits from this. 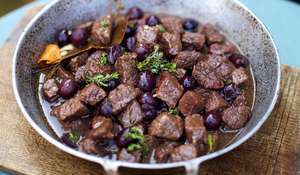 The cinnamon is optional (and not at all French), but I have added it because it lends a subtle depth of flavour to the beef and red wine, and isn’t identifiable as cinnamon exactly. It just works. 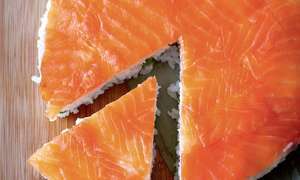 When you’re cutting the fat in recipes, it’s crucial to keep the flavour elements really strong so that you don’t feel that you’re in any way missing out.